Smart and Reliable with a friendly approach enabling you to arrive in style. 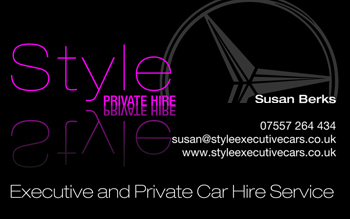 To book email susan@styleexecutivecars.co.uk or telephone Susan on +44 (0) 7557 264 434. Based in Bletchingly, Surrey.